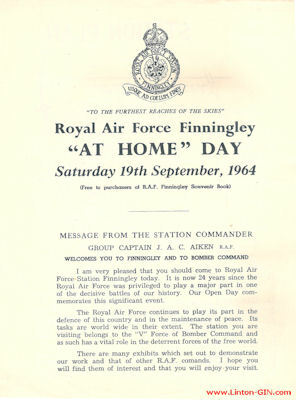 The 3 man GIN Section team flew a show at Finningley on 16 September 1964. 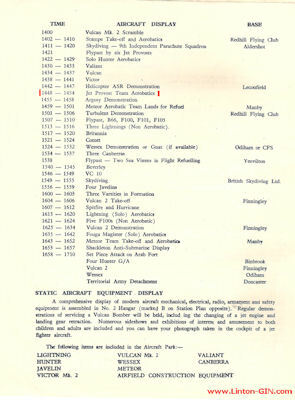 Pilot details have come directly from their log books. 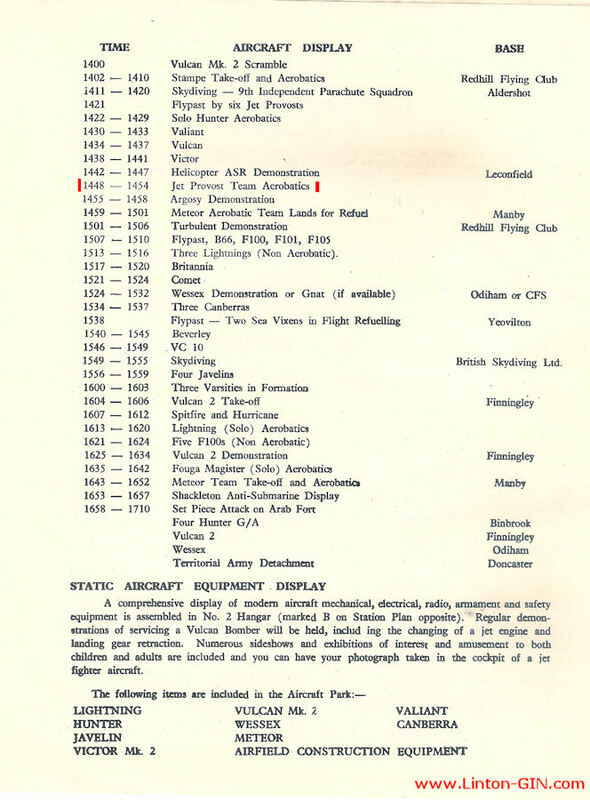 According to the Flying timetable the 1964 GIN display lasted for 6 minutes. 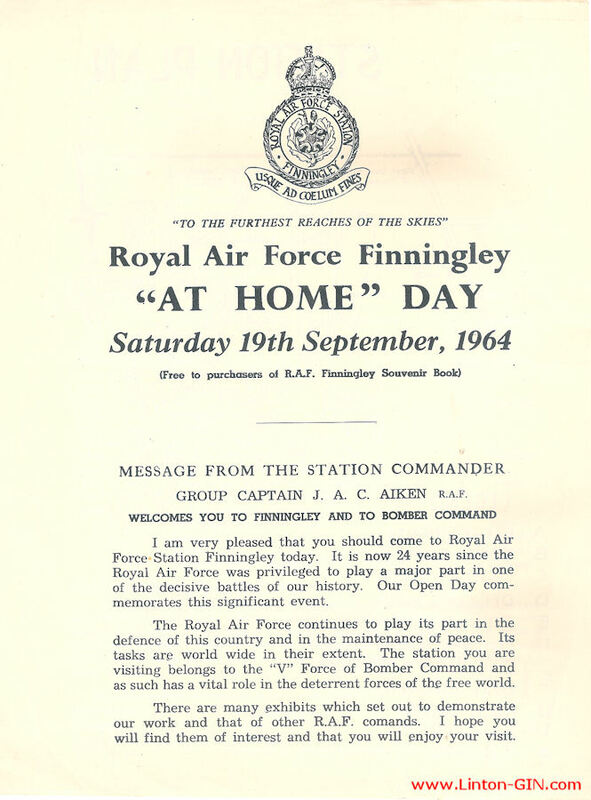 If you have further details or photos of this show, please feel free to use the "contact" link on the left.